The obvious step in becoming a licensed nail tech is to enroll in a local beauty school, provided there is one in your town. However, some states (about 1/4) are now allowing apprenticeships which may be a more logical and affordable way to go. An apprenticeship – where an aspiring nail tech learns one-on-one from a licensed tech – is a recognized way to qualify to take the state board exam, earn a license, and ultimately work as a licensed nail tech. Affordability is a huge benefit to apprentice programs and, in some states, you can actually get paid while working as an apprentice. However, if you are pressed for time, the apprenticeship program may not be for you. In most states that allow this type of program, the number of required hours for apprenticeship is double those for school enrollment. If you do elect to go this route, make sure you choose the right salon as the person teaching you is responsible for both hands-on experience and theory – a requirement to take your licensing exam. If you are fortunate enough to find the right licensed nail tech to apprentice under, the transition from apprentice to licensed tech can be quite smooth as you have already formed a working relationship with your “teacher” who can help your career further down the road. If your state does not presently have a nail tech apprentice program, you can petition your state board or legislature. This seems like a daunting task; but, it may not be as impossible as you think. A business owner constituent (possibly your potential teacher), speaking to her/his elected official, can be very powerful. He/she can be asked to be added as an agenda item for the next meeting as board meetings are always open. A 10-minute Power-Point presentation may be all that’s needed to cultivate the next generation of nail techs in your particular state. 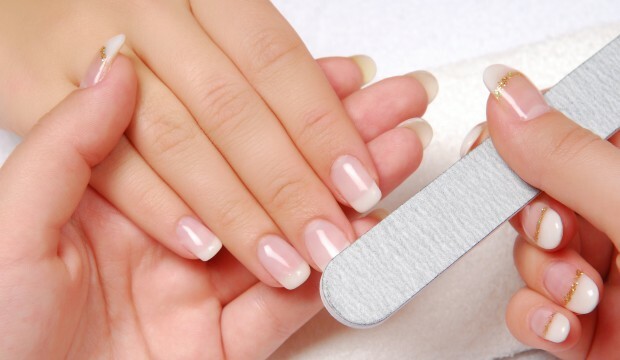 States that presently have a nail tech apprenticeship program are: Alabama, Colorado, Delaware, Georgia, Idaho, Maine, Michigan, Missouri, New Hampshire, Oklahoma, South Dakota, Utah, Vermont, Virginia, and Washington. -Thanks to Sree Roy for her article in the April Issue of NAILS MAGAZINE entitled “The Apprentice” which served as a springboard for this post.